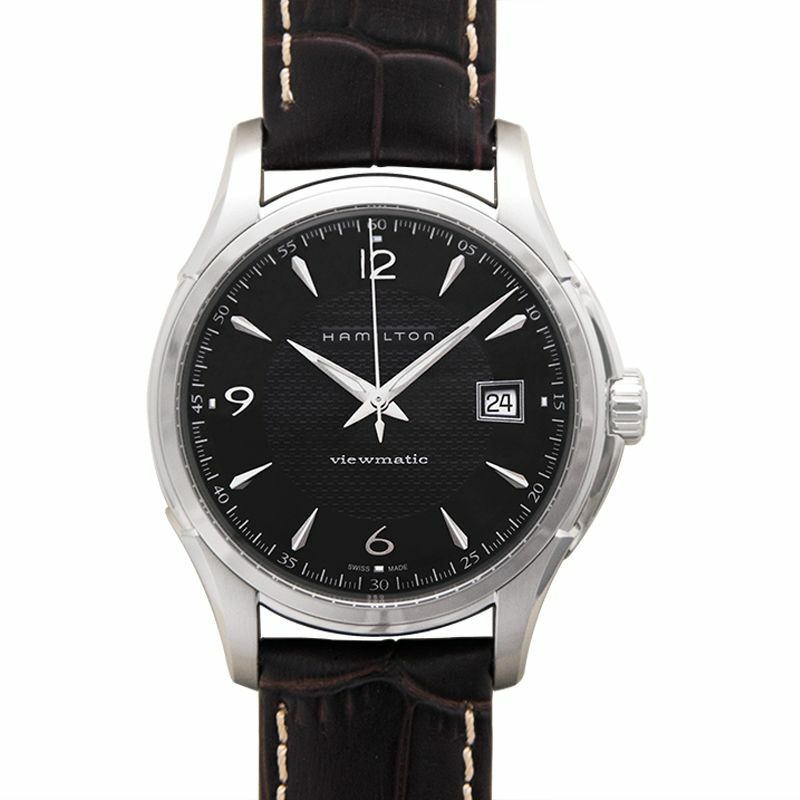 Jazzmaster is one of the most popular series of Hamilton, alongside with Hamilton Khaki, Ventura and American Classic. Hamilton Jazzmaster is often chosen by business men as it matches any kind of normal suit very well. It’s designed to harmonize with innovation and modernity, just as well as jazz does. That is also where the Hamilton Jazzmaster gets its name from. There are various models in the Jazzmaster series. Customers have wide spectrum to chose from such as open heart, bimatic, shinline and face-to-face. In addition to that, there are many differences in every model such as different dials and belt designs, but also in functions. 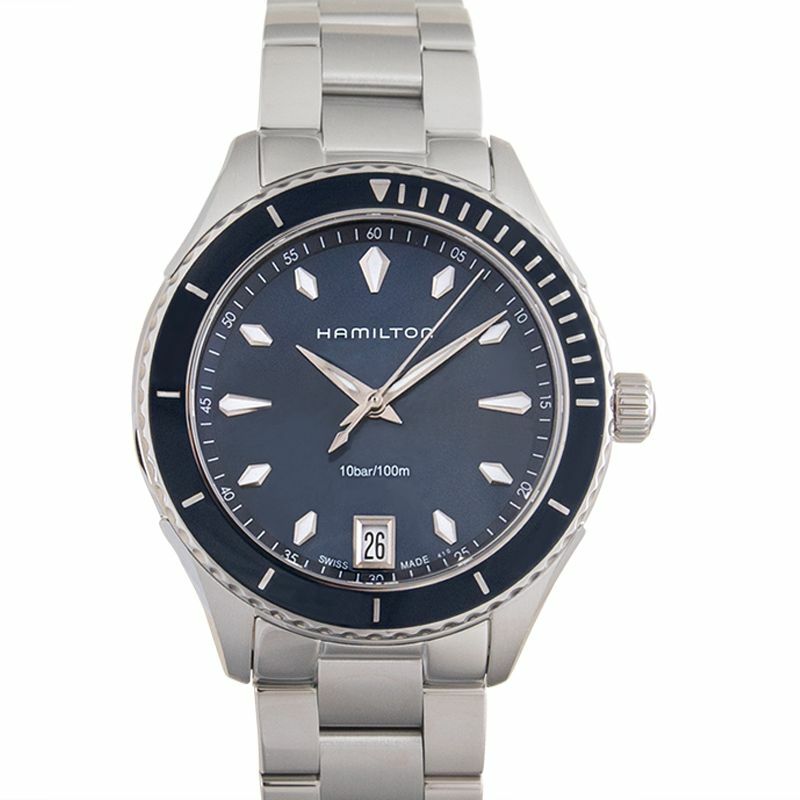 Hamilton therefore recommends owning multiple Jazzmasters, which enables the customers to always wear the right wrist watch for the right event, fashion theme or scene. 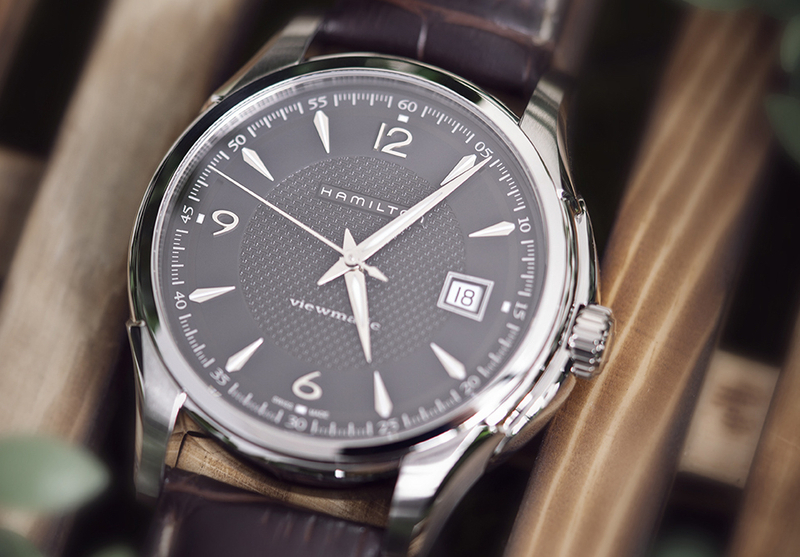 We will now introduce some popular models from the Hamilton Jazzmaster lineup. In spite of its simple design, the Jazzmaster H32515535 is a very beautiful wrist watch. Both case and belt are made out of stainless steel and one of the many functions this Jazzmaster Viewmatic has, is automatic winding of the three-needle model. In addition, at the three o’clock position of the dial a date display has been installed. The black dial has been given a guilloche pattern. This is not unintentional. While paying close attention to design beauty, this Jazzmaster Viewmatic also brings an element of visibility to the table. 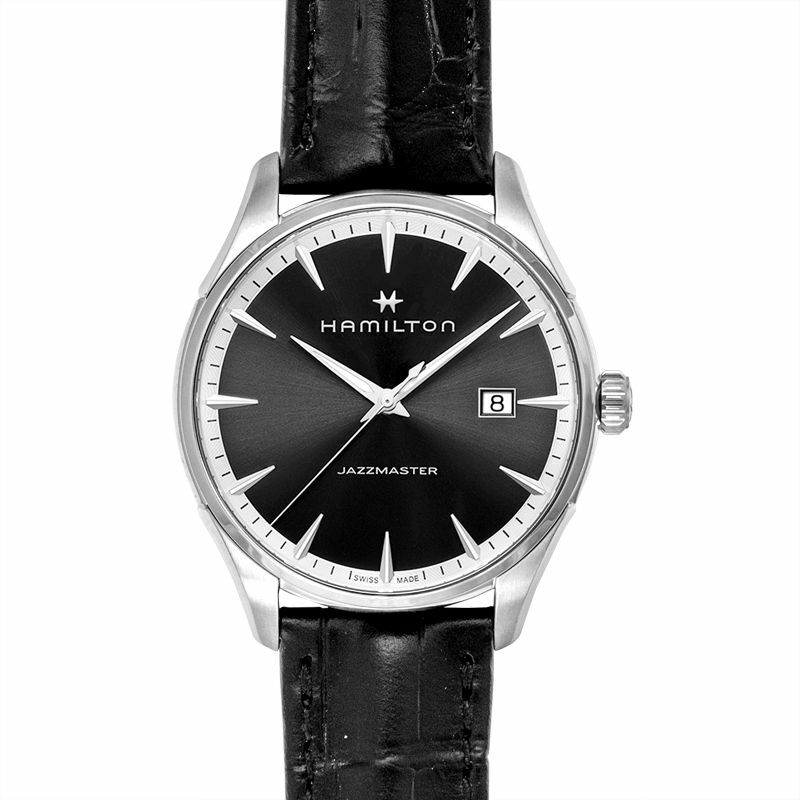 This Hamilton Jazzmaster automatic watch is ideal for anyone who is looking for a simple manly watch. The Jazzmaster Gent H32451731 brings a modern atmosphere to the table and combines it with the classic design. With its simple and refined design, and its unique features the Jazzmaster Gent is really the perfect wrist watch for any adult who wishes to look a little more elegant and polished than the average. The black dial, which is made out of stainless steel connects beautifully to the also black belt, made out of leather. On this Hamilton Jazzmaster quartz watch, located at the three o’clock position of the dial, there is a date display embedded through which the wearer will always know what time and date it is. The Hamilton Jazzmaster Sea View H37451141 gets its name from the impressive and deep blue dial that creates an image of the sea. The case and the belt are both made out of stainless steel and the deep blue, rotating bezel is based on ancient compasses that were use to navigate the sea. The ocean theme of the blue Hamilton dive watch is born from these features. Equipped with a quartz clock, the Hamilton Sea View is also loaded with a date display at the 6 o’clock position of the dial and in line with its ocean theme, the Jazzmaster Sea View is water resistant up to 100m. It’s time for the top model of Jazzmaster, the Hamilton Jazzmaster Maestro H32766513. Translated “maestro” means great musician. 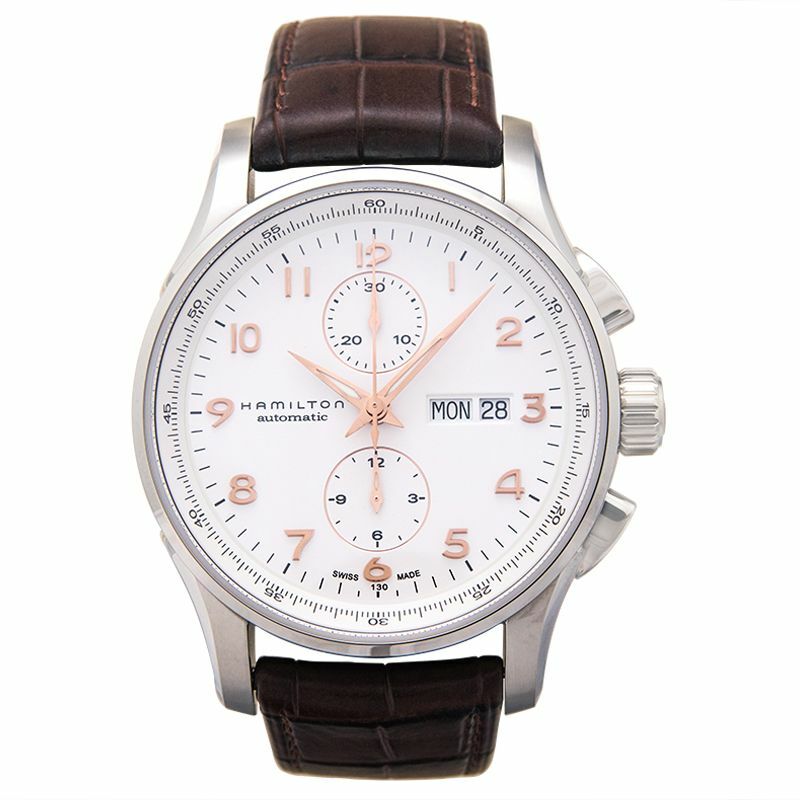 It is a Hamilton chronograph collection. The Jazzmaster Maestro is heavily characterized by its metallic lines that surround the small seconds and its hour and minute hands that can be charged by sunlight to glow in the dark, allowing the wearer check the time 24 hours a day. Although the Hamilton Jazzmaster Maestro is simple in its design, a lot of attention was paid to details in the designing process of this Maestro watch and this is where the Maestro auto chrono real beauty lies. Through perfection perfection was born. The Jazzmaster Maestro automatic chronograph watch is for anyone who is looking for a real gem when it comes to wrist watches. 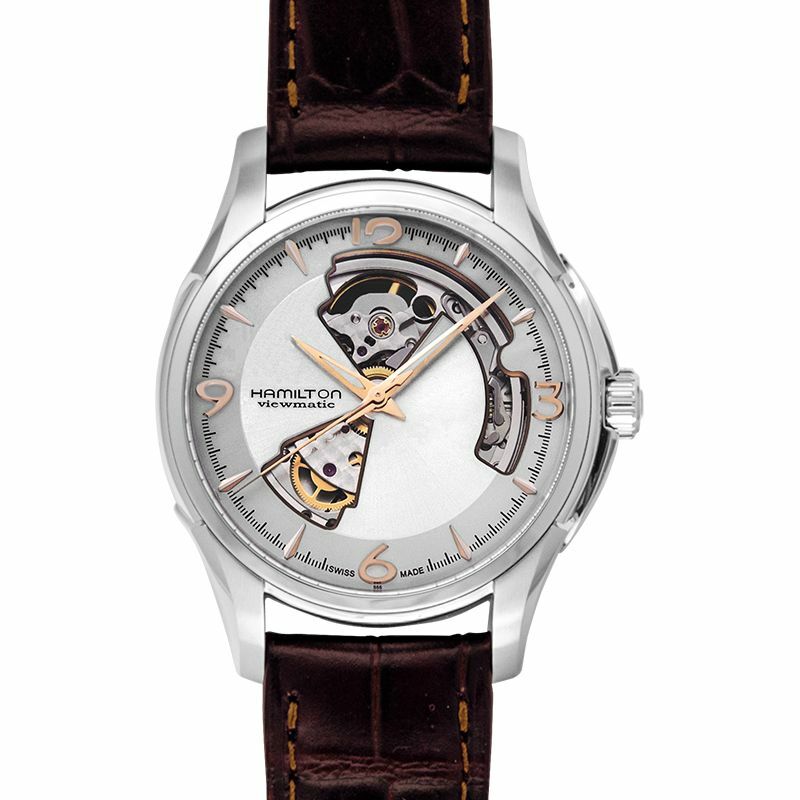 Being called Open Heart, it’s surely no surprise that the Jazzmaster Open Heart H32565555 comes as a skeleton watch. The movement, the “Heart” of the clock can be seen straight through the dial, giving this watch its name. The back cover is also skeleton. This Hamilton Jazzmaster Open Heart watch case and hour and minute hands are golden, the belt made from black leather. The combination of gold and black make for a very elegant designed watch. This Hamilton skeleton watch is for those who are searching for something else and insist on sticking out with a different personality. On top of that, the Hamilton Jazzmaster Open Heart represents honesty. The heart, meaning ones true feelings, is exposed.